Where I live, there are few places that are damp or lush. Here, in the undergrowth of the riparian woodland, alongside a creek (or nearby to avoid the poison oak) these tiny flowers grow, only to fade away as summer approaches. 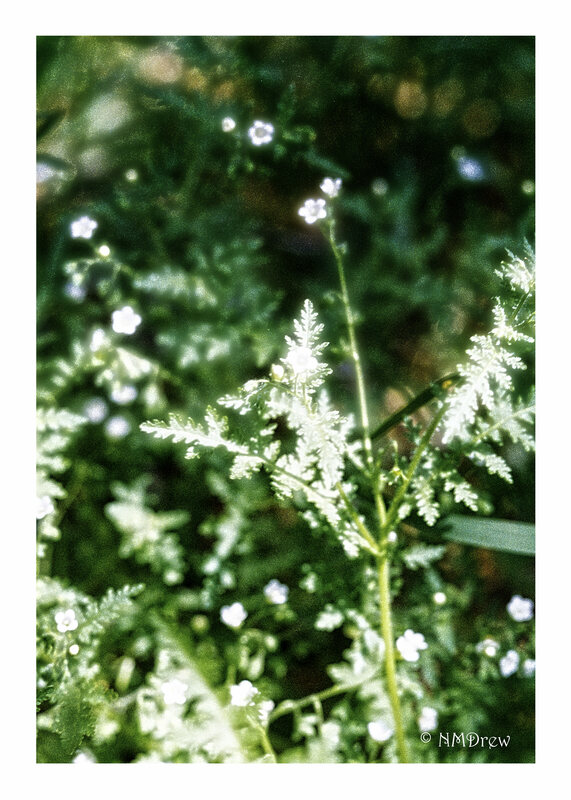 This entry was posted in Glimpses and tagged analog, Elicar 55mm f2.8 Macro, film, flower, green, Lomo 100, Nikon FM2N, photography, riparian, white. Bookmark the permalink.